Nuevo Living Simone chair projects a refined sculptural elegance. 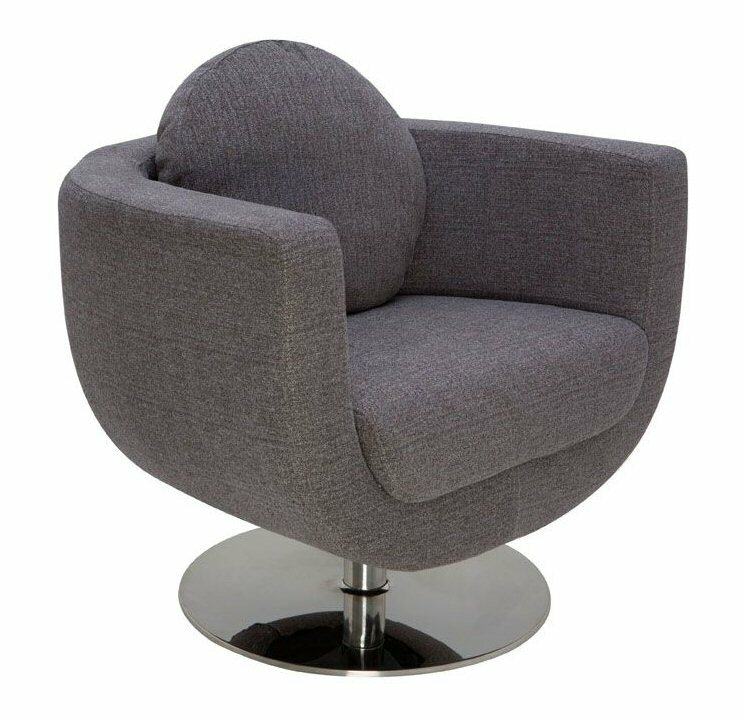 The deep seated fabric design is made for comfort and ease featuring over stuffed cushions and a smart circular stainless steel swivel base. The Simone's striking modern aesthetic is suitable for a variety of spaces both commercial and private. 30.75"w x 26.5"d, arm height: 25", seat height: 17"